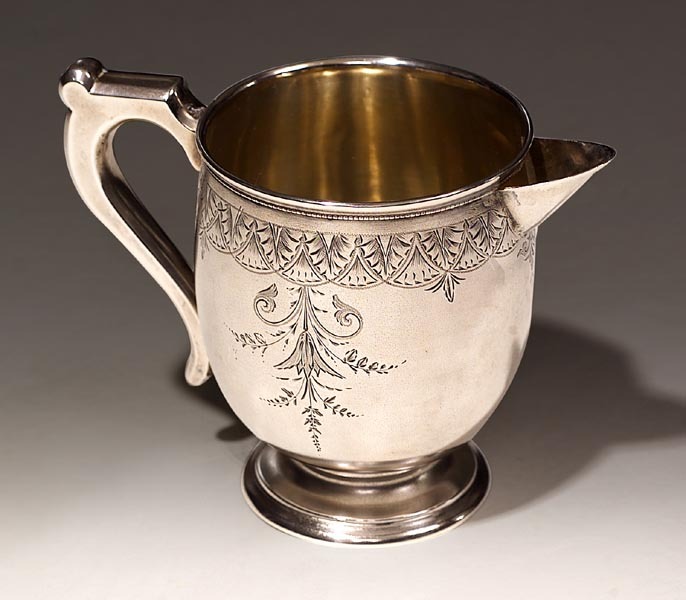 A c.1860-1870 San Francisco Silver Creamer. A rare survival fashioned from a handled silver cup. With matt finish. The piece is also engraved with aesthetic movement paterae and fully marked to the bottom "R.F. Cal. Coin".